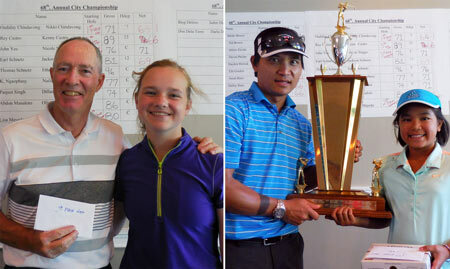 Twenty teams of junior and senior partners competed in mixed scotch format at Bartley Cavanaugh, modified shotgun start. 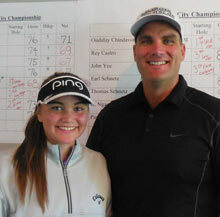 The teams of Oudalay Chindavong/ N Chindavong and Larry Glassmire/ Sarah Rietz tied, and by a Director’s decision, share the title with a team score of 64. 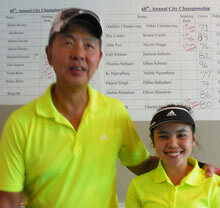 The Callaway flight team of Dun Dela Torre/ Darla Dela Torre won by a stroke over Lisa Mayeda/ Charles Mayeda. 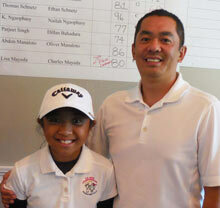 Third place was John Yee/ Nicole Staggs. 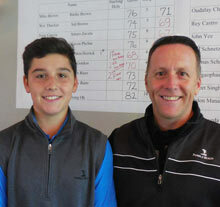 Low Gross at 68 was won by Gary Herrick/ Hayden Herrick.